Classes are held at the Novotel Hotel from Monday to Friday – the specific times vary from day to day but the pool is utilised by Little Turtles from 09:00 – 16:00 every week day. The hotel is situated along the V7 Saxon Street & between the H3 & H4 roads in central Milton Keynes. The pool is 9m x 5m & is within a private area that can only be accessed with a swipe card allocated by reception upon your arrival. 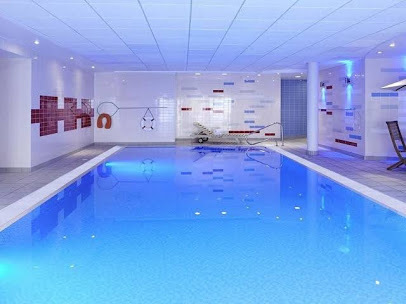 The temperature of the pool is kept above 31 degrees & is usually nearer to 32 degrees. Raised changing tables are located around the pool & in the ladies changing area. Changing mats are not provided at this pool. The hotel has its own free private car park – you MUST input your car registration number into the i-pad for ALL vehicles using the hotel car-park otherwise you will receive a hefty fine. Access is gained from the V7 Saxon Street opposite the BP petrol station with the tall radio/phone mast next to it.